Grounded Running of Beaufort hosted the second annual 3-Mile Team Trial between May 26-31, 2018 with Teams of 5 runners competing in an Open-Cross Country style event. This year we had had 8 team competing in this annual, free virtual race. Team included S.A.R.C. based out of Richmond Hill, GA, two teams from Savannah, GA hosted by the Rough Runners, a Columbia, SC based F3 group and a Bluffton, SC F3 group. 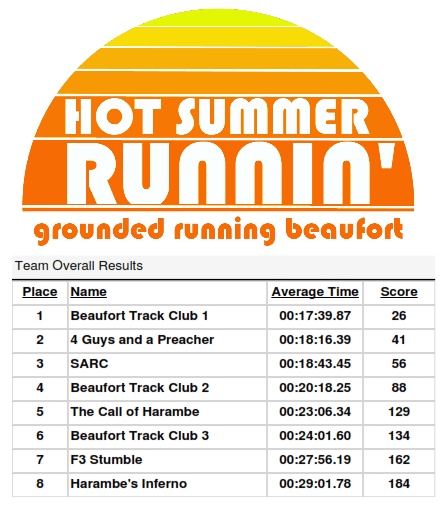 The Beaufort Track Club had three full teams this year. We hosted a total of 44 runners which raced virtually and submitted their GPS-tracked runs to their respected Team Captains. The Team captains submitted the results to Tim Waz, owner of Grounded Running to compile the overall results which were posted on-line during the event so all participants could track their “competition”. 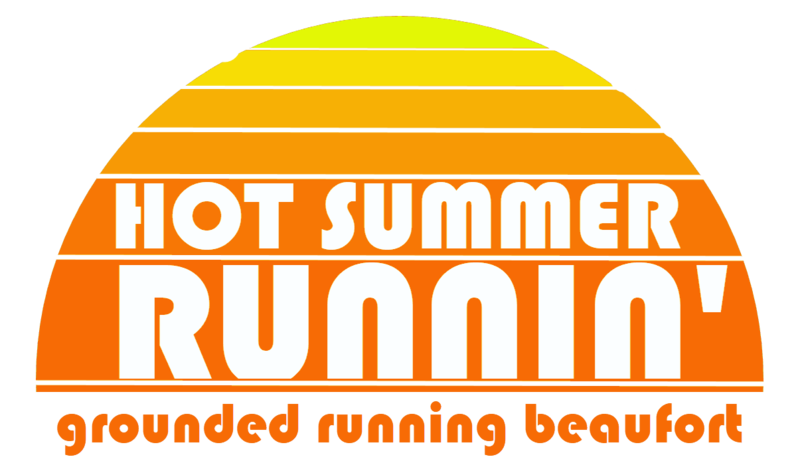 Grounded Running will begin to host this event as a bi-annual race to give runners the ability to race as a team. The next event will take place in November. Begin to put together your Team now and we look forward to seeing you at an event soon!